Before delving into Vietnam’s savory dishes, I need to cover the nation’s ubiquitous dipping sauce: nuoc cham. It’s served alongside just about everything from grilled meatballs to noodles to hand rolls. 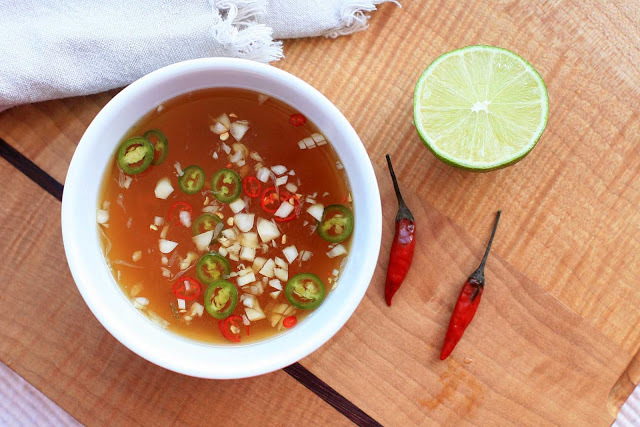 If you’ve ever eaten at a Vietnamese restaurant, you’ve likely already tasted this liquid gold. Made with fish sauce, lime juice, chile peppers and a touch of sugar, it’s hot, sour, salty and sweet done right. 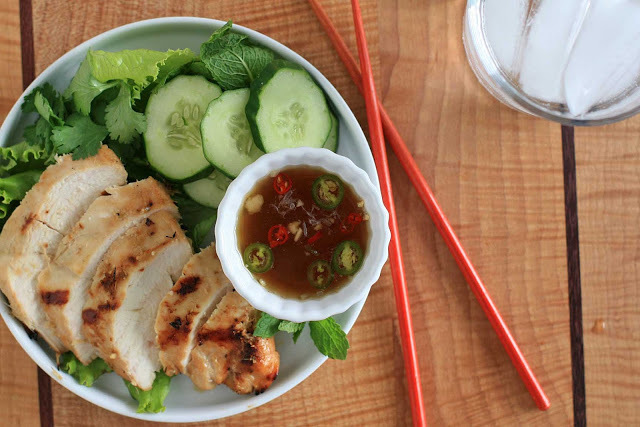 There’s little that can’t be enhanced with a quick dunk into a bowl of nuoc cham. I love it so much that I’ve been known to break tradition by just dumping the whole bowl of nuoc cham into my bowl of bun (one of my favorite noodle dishes), likely embarrassing my dining companions in the process. I think you’ll love it too. Combine all ingredients in a medium bowl and stir to dissolve the sugar. Taste and adjust amounts, if necessary, to get your desired balance of hot, sour, salty and sweet. I like mine sweet and tangy with a bit of heat that lingers briefly on the lips. Note: You can also grind the chiles, sugar and garlic using a mortar and pestle, if desired.